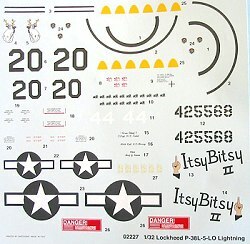 r Trumpeter’s kit is a model of the Lockheed P-38L-5LO “Lightning,” which can be considered the “definitive” version of the aircraft, in which all problems had been finally solved. The L-5 entered production in late 1944 and saw its primary service in the Mediterranean and Pacific Theaters. 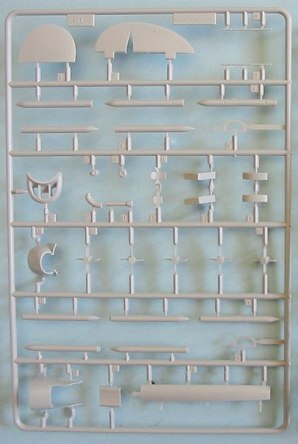 The first reaction one has to finally pulling out the bags of sprues is that this is a BIG MODEL! With a wingspan of 19.5 inches and a length of around 15 inches, the modeler who builds one of these is going to have to find new room on the model shelves to display it. 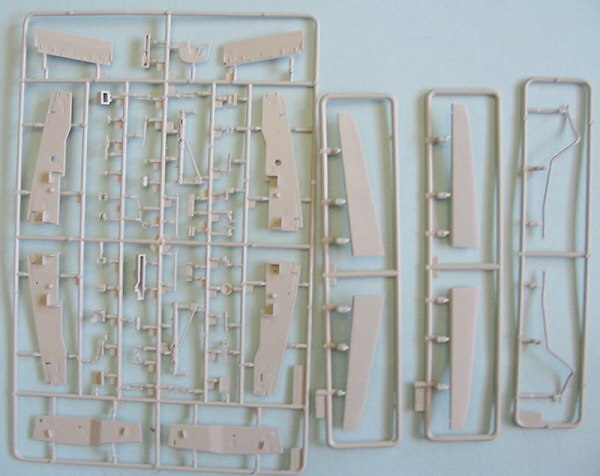 Additionally, given that all P-38L-5LOs were produced in natural metal finish, one might do well to invest in a paint company, since there is going to be a lot of Alclad or SNJ paint expended on finishing this. 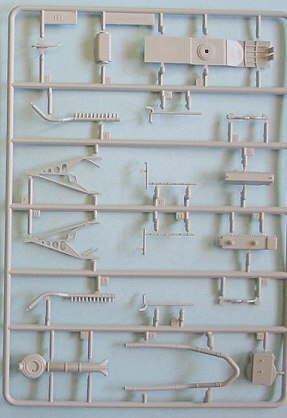 As is now typical of Trumpeter kits, the 468 parts are crisply molded with smooth surfaces. All surface detail is engraved, including all the flush riveting. While I generally think that doing the individual flush rivets as engraved detail actually takes away from the look of the final result, in the case of the P-38 I think this is right. I have access to two of the three flyable P-38s in the world - both of which are this version - and when I look at them, it is pretty easy to see the flush-rivet detail on a bright sunny day. The detail on this kit happens to look good to me because it is also not as overdone as that of the previous MiG-3 or P-40B. Under a few coats of aluminum paint, this should look quite realistic. Given my experience with the P-40B, the first thing I decided to check out was the cockpit. 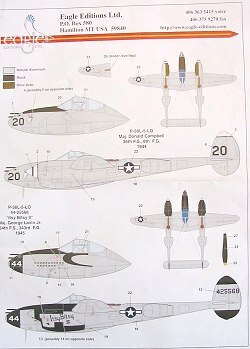 This is much better-detailed than that of the P-40, and most importantly it is the correct depth. 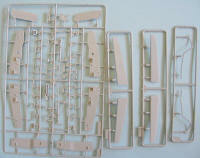 Photo-etch parts are provided for small details like throttle levers, etc. The cockpit is certainly not as detailed as the real thing (what kit-provided cockpit ever is? ), but should look acceptable built out of the box. I am sure some enterprising aftermarket company will provide a resin cockpit, at a price north of $30, for those resin-a-holics for whom what is in the box is never good enough. The rest of the internal detail is really quite nice. 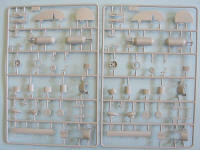 It will be possible to open up the nose, and a full set of armament is provided, with ammo boxes and all. 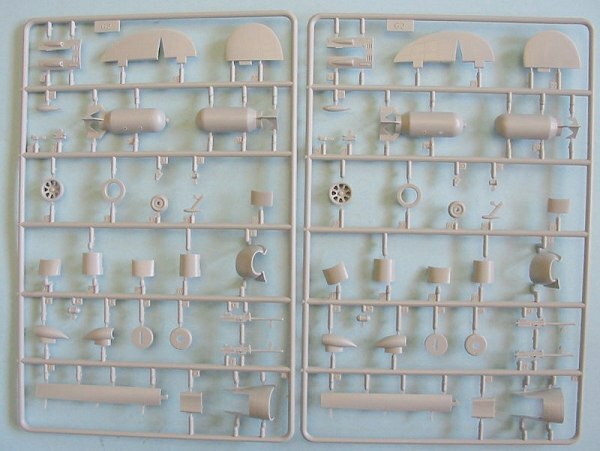 The wheel wells - which are pretty bare on the real thing - are taken care of well, and the landing gear legs are both detailed enough and big enough they should be able to take the weight that is going to go into this model to make it a nose-sitter. Both Allison engines are provided as detailed kits in their own right, with the oil coolers and turbochargers, and all the ducting necessary. The only problem is, all this is supposed to go into engine booms that are closed up!!! Yes! 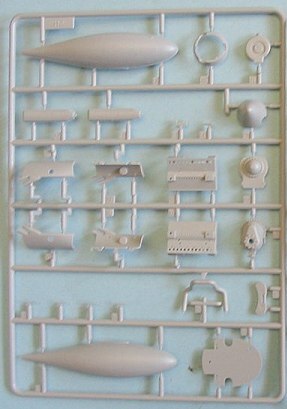 The modeler who wants to show all this detail is going to have to cut off the proper panels, and then haul out the Evergreen sheet in order to scratchbuild the internal structure of the cowlings, and that, my friends, is going to be No Small Task. Given the engineering of the booms, with their separate radiator cowlings, it is obvious that Trumpeter will be bringing out the early version of the P-38. 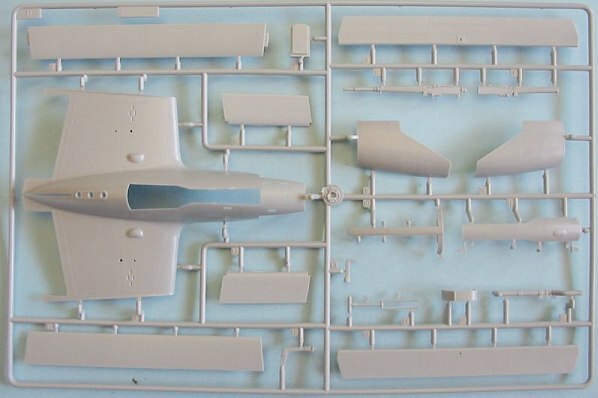 Had they provided separate cowling parts, the conversion to the earlier version would have been even easier for them. If a modeler opts to open up the engines and the nose, this is going to exacerbate the weight problem, as it will leave few places to put in the weight necessary to make the model sit on all three wheels. Having examined the parts, I think it should be possible to fill the engine blocks and ammo boxes with lead weight, and to add it additional weight in the leading edge of the wing between the center nacelle and booms. Alternatively, one could open up one engine and weight the other. As regards all the various shapes of the center nacelle, the booms, the rudders, spinners, canopy, etc., comparing the parts with detail photos I took of the Planes of Fame P-38s shows that Trumpeter managed to get all this right. 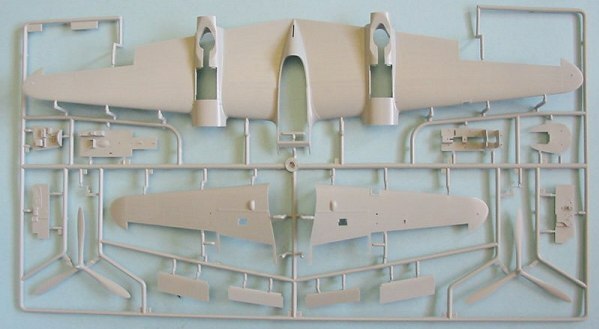 One good thing in the kit engineering is that the upper wing and cockpit area of the center nacelle are molded as one part, insuring that the kit will be assembled with the proper dihedral. At this point, having only removed the lower half of the center nacelle and test-fitted it to the upper wing - which shows good fit - I can say that this appears to be the best Trumpeter airplane kit yet. 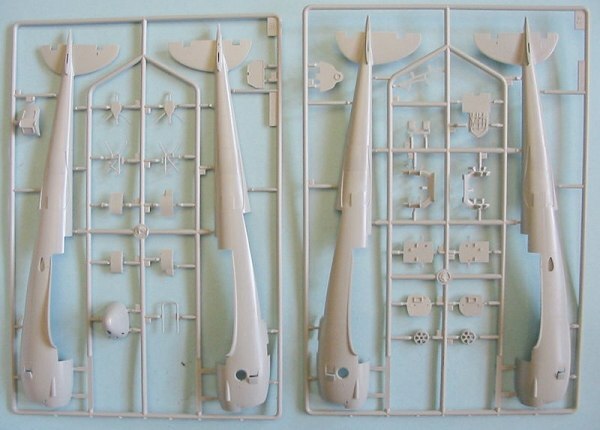 It is accurate in external outline and detail, has a cockpit that is realistic, and provides modelers with the opportunity to produce a model that ranges from buttoned up and looking sleek to everything open and super-detailed. Take a deep breath, recompute the national debt, and rev up your checkbooks, ladies and gentlemen - the kit hits the shops around the end of March/beginning of April. Review kit courtesy of Stevens International.